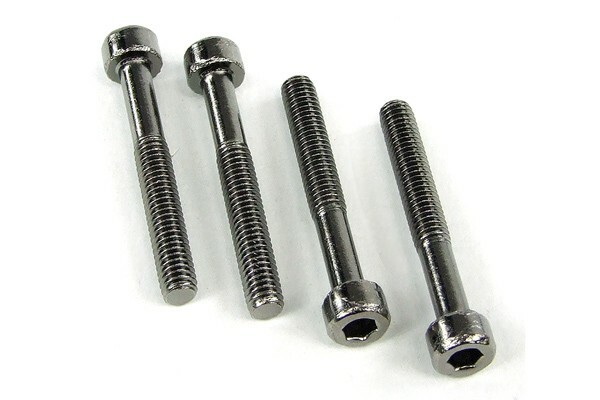 Hexagon socket screws for mounting of fans (25mm) in radiators. By using hexagon socket screws a clean design is ensured and damaging of the screw head is virtually impossible. The conformity with DIN promises hassle-free transfer to any technical application. The variety of finishes offer a whole new array of design possibilities! These screws should only be used in combination with a fan-/ radiator grill as the screws are too long for just the radiator and may hence damage it! All Black Ice, XSPC RS series, Koolance and D-Tek radiators. Screwing the screw in too far may damage the radiator, please ensure that the screw has the proper length for your application! This screw may not fit for all applications!